Stranger Things returns to our screens this month as Netflix’s nerd-friendly smash hit stops by for a second season. The Duffer Brothers’ binge-worthy behemoth came out of nowhere last year to become one of the video-streaming giant’s most successful shows. While millions of fans from around the globe are no doubt hooked on the ongoing events in Hawkins, Indiana (not to mention the Upside Down), this show’s place in people’s hearts owes as much to its influences and ’80s trappings as it does on its screen action. From board games and bikes to period-appropriate attire, automobiles, and a particular brand of toaster-ready waffles, there’s all manner of nostalgia-inducing meta-morsels for the masses to enjoy. 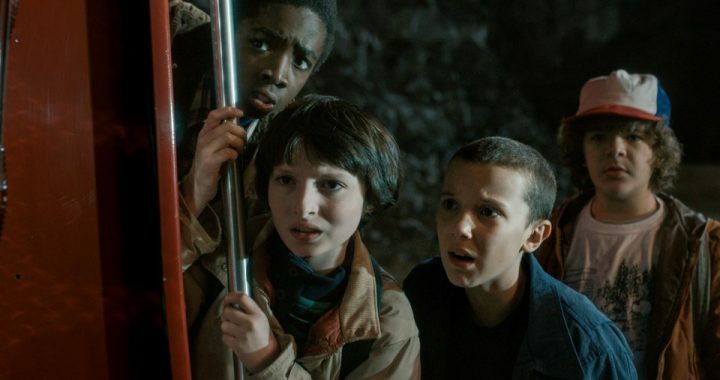 But one thing that is often overlooked is the impact of the big screen on Netflix’s big hit, and, more specifically, the role that several films have played in shaping Stranger Things as we know it. Of course, alongside the flesh-and=bones characters who make up the Stranger Things cast, one of the show’s most memorable stars is the monster from the Upside Down. Repeatedly referred to as the Demagorgon, a Dungeons & Dragons term plucked straight from the basement-bound adventures of kids of a certain age, it’s as visually striking as it is pants-wettingly scary. Even though it’s an entirely original creation, it’s still possible to spot the influence of the silver screen in Stranger Things’ big bad, most notably a trio of sci-fi classics that wowed moviegoers during the ’80s. The monster certainly shares some biological traits with the collection of critters from the Alien franchise, perhaps most notably the visual horror of the facehuggers. Then there is The Thing, which science teacher extraordinaire Mr. Clarke actually watches during one episode, and which certainly helped to shape the style of visual effects used to bring the Demagorgon to life. Finally, we come to Arnie’s alien foe in Predator, whose audible clicking almost certainly helped to hone the horrifying sounds that emanate from the Demagorgon’s general direction during the show’s first season. 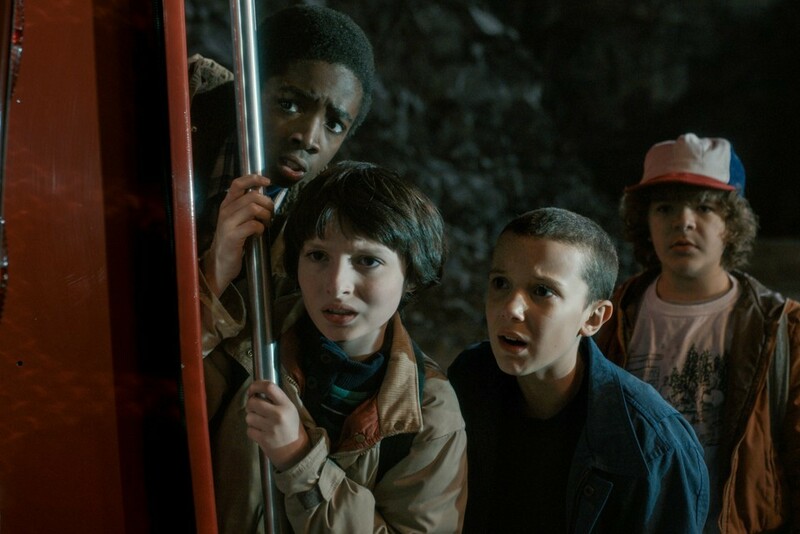 Like many children whose formative film years were forged in the 1980s, Stranger Things’ creators have pointed to Steven Spielberg as one of their primary influences. No doubt everyone spotted the influence of some of the great director’s classics like E.T. and The Goonies, but perhaps the biggest influence on the show was from Spielberg’s 1982 spooktacular Poltergeist. The movie follows the bizarre events that beset the fictional Freeling family in Orange County, California, who move into a home that, unbeknownst to them, was built on a plot where a cemetery was once located. All manner of supernatural occurrences then follow, including the family’s daughter, Carol Anne, communicating through TV static before being dragged through a portal by a “Beast” from an alternate dimension. If that sounds familiar, it’s because it should. After all, the events of Stranger Things’ first season echo the basic premise of Poltergeist. If those nods were too subtle, the Duffer brothers offer us a more overt reference to the 1982 scare story in the very first episode of the first season. During a flashback, Joyce remembers surprising Will with tickets to see the movie, even though he would have been too young to watch it. Spielberg’s iconic extraterrestrial looms large in Stranger Things. The suburban setting, the most recognizable of the Spielbergian tropes, is, of course, instantly familiar. But there are other influences. The crude communication devices used to contact another world, the telekinesis, and even the repeated referrals to a name brand food item (Eggos here instead of Reese’s Pieces) are all nods in the direction of the beloved family flick. Perhaps most interestingly, it’s the characters themselves who are drawn from the molds that Spielberg cast back in 1982. Winona Ryder as the struggling single mother certainly echoes Dee Wallace’s performance as Mary; elsewhere, Mike and Eleven’s burgeoning relationship is a loving homage to Elliott and E.T., to the point that Mike even dresses El up in a wig to disguise her at school. One of the more recent movie influences on Stranger Things, Jonathan Glazer’s thriller helped to inspire the look and feel of the world that Eleven enters whenever she’s plunged into sensory deprivation. Eagle-eyed viewers might also be able to see a dash of another modern movie in the form of the precognitive thriller Minority Report, starring Tom Cruise, which seems to have helped shape the overall style of the sensory-deprivation scenes in the series. If Steven Spielberg is the godfather of Stranger Things, then Stephen King is the favorite uncle who comes to stay during the holidays. In fact, the insanely prolific pen behind classics such as Carrie, The Shining, and IT was such an influence on the show’s creators that they used the dust jacket from an old copy of Firestarter to house the 20-page pitch book they shared with network execs to get the series commissioned in the first place. As a result, it’s no surprise that the 1984 movie adaptation seeps into the DNA of Stranger Things, perhaps most notably in the figure of a young heroine whose telekinetic episodes bring on bouts of nosebleeds. As fans of Stephen King, it’s perhaps no surprise to learn that the Duffer brothers were inspired by this film based on a short story penned by the author. Indeed, they even got the boys to read passages from its script during the casting process as they attempted to assess their on-screen chemistry. Stranger Things also shares similarities with Stand By Me. In fact, there is an obvious nod in the direction of the movie as Eleven leads Dustin, Lucas, and Mike on a walk along the train tracks as they attempt to find Will—a scene swiped straight out of Reiner’s original movie. The story of a young girl with a sheltered upbringing and telekinetic powers, there are more than a few similarities between Stranger Things’ Eleven and Stephen King’s titular character from his debut novel. Indeed, the Duffer brothers have previously gone on record to express their fandom for Stephen King’s novel and the 1976 movie that followed it. There’s also a nice visual reference to that adaptation when Nancy thrusts her hand through a wall of goo as she attempts to escape from a portal to the Upside Down. The moment from Chapter Five echoes the end of Brian De Palma’s movie when Sissy Spacek’s hand reaches through the soil from her grave. Daniel Bettridge is a journalist, editor, and author. His latest, highly anticipated reference book, The Unofficial Stranger Things A-Z, will be released on October 31, 2017, by John Blake.